How To Choose The Right Hair Fall Treatment? The quote of Martin Luther King “The hair is the richest ornament of a woman” is indeed true. Being a woman myself, I completely agree with his quote. I still remember this patient who came to my office. She entered my cabin and kept a bag in front of me, and, to my astonishment, she removed a handful of hair from her bag. Her face was sullen and eyes teary. Since she was a seasoned patient of mine, it was pitiful to see her in this state since I know her well for being a chirpy person. I consoled her and after she calmed down, she asked me a question, “Doc, how do I select the right treatment for my hair? I have this bunch of hair fall every time I comb my hair. I see my hair on my pillow, in my room, bathroom, and just everywhere.” I remember this beautiful lady having thick long hair and now, unfortunately, she had chopped off her charming tresses due to this severe hair fall. I pacified her and explained to her that hair fall is not just the “fall of hair that you see”, it is a deep-seated ailment which has multiple causes. Hair fall is just a local expression of an inner turmoil occurring somewhere in the body. It reflects how your body is nurtured. Hair fall or hair loss can be a vaguely used term by many individuals, at times. It might be misleading and overwhelming too. But, the most important question which you must consider is, when a hair fall is a matter of concern or worry. Should you always panic when you see a few strands of hair in your comb? Well, I should definitely mention you the fact that a few strands of hair fall every day are considered normal for any common individual. Medically, for an adult hair fall of 40 to 60 strands per day is considered to be normal. There is also a term called seasonal hair fall. So, one may experience a sudden hair fall thrice in a year when the weather changes. So, ideally, one may not need any treatment for such conditions. Evaluation of the cause with quantification of the fall of hair is of utmost importance when one is getting treated for this ailment. 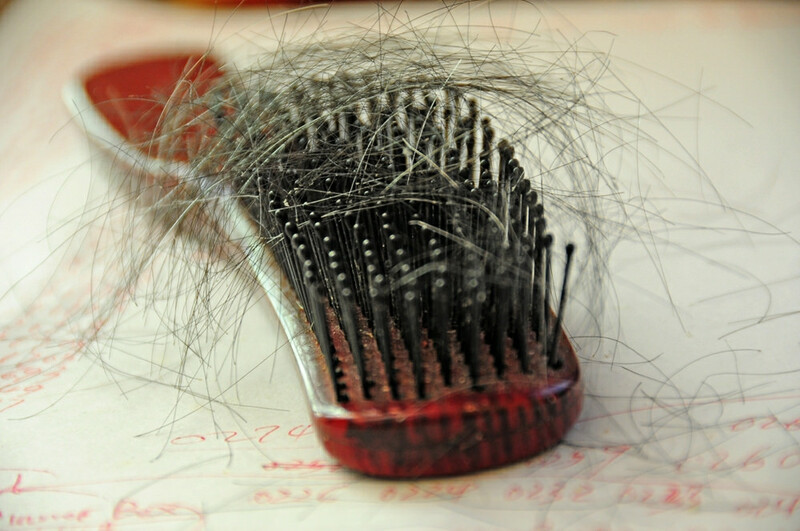 Hair fall can occur as a result of a number of causes. These days stress, pollution, dandruff, sleep deprivation, and deficiencies have been the major culprits for hair fall. Anemia, thyroid disorders, and polycystic ovarian disease (PCOS) are other common causes in females which contribute to the cause of this ailment. There are two varieties of hair fall which can be categorized as female pattern baldness and male pattern baldness. Yes, not only females but males also may suffer from this disturbing ailment. In female pattern baldness, hair thinning is predominantly found at the vertex, whereas there is a horseshoe-shaped frontal thinning of hair found in males. When you start googling on the internet, you will find so many treatment options for the hair fall. Most commonly, one gets to see many home remedies, such as various hair oil applications, hair packs, etc., which claim to reduce your hair loss drastically. They can be very tedious to use at times. Some online experts suggest a few expensive treatments like hair weaving, transplants, and stem cell therapy in some severe grades of hair fall. Other cosmetic therapies include those attractive looking shampoo cartons, conditioners, hair serums, and hair revitalizers. Now, here comes the confusion. What to select? Will it be safe? Some of them can be tempting at times, but, at the same time, they can be unsafe. So, you ought to choose a treatment for your hair that is safe and free from all toxic effects. Also Read: Hair loss, is it hereditary or is it stress? Here are some factors which you should consider when choosing a hair fall treatment. Do not get overwhelmed by those online advertisements and attractive salon discounts which they offer on their hair products and treatments. Be patient, be thoughtful, and seek medical advice. A trichologist is the one who specializes in the hair and scalp health and the treatment for hair-related ailments. Always consult a doctor who is well-experienced and routinely treats the cases of hair fall. Homeopathy is one infallible treatment for hair loss that you can trust any time since it offers a complete therapy and is free from side-effects. As mentioned earlier, a few cases might not need any treatment or immediate medical attention. After a particular consultation, one might not feel convinced or may feel that the doctor was trying to make a business. In such circumstances, stop, think, and, if doubtful, take a second opinion. There is exorbitant literature available everywhere when it comes to hair and related complaints. There are many people who Google the internet to find solutions and read various books to treat their problems without disturbing their pockets. In such circumstances, it is important for one to communicate rather than self-treat or self-medicate. Talk about your problems and opinions with individuals suffering from similar problems. An effective communication may help you get the right reference to an authentic hair treatment. 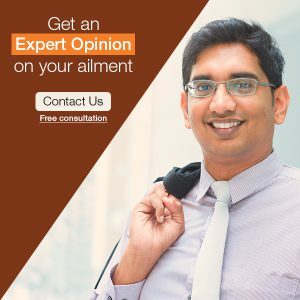 Some well-proven, natural, and reliable products can be definitely used as a supportive therapy in amalgamation with medical therapy like homeopathy. After investigating so many options available in the medical market, I personally feel homeopathy is the most reliable, cost-effective, and the safest mode of hair fall treatment. Also Read: What Are The Reasons Behind My Baldness? Why Homeopathy For Hair Fall? There are many benefits of homeopathic treatment for hair fall. Some major benefits of homeopathic treatment are as follows. Homeopathy evaluates the person as a whole and offers a constitutional treatment. It offers a long-lasting recovery and not just a temporary relief. Homeopathy is safe and free from any side effects, even after following a long-term treatment. It individualizes each person during treatment. That means, two individuals suffering from the same kind of hair fall may not necessarily receive the same medicine. Homeopathy follows the mind-body aspect for healing individuals from any ailment. It believes in the internal healing rather than treating the patient topically or locally, thereby treats the root cause of the disease. Homeopathy has about 2000 medicines to offer, out of which one medicine is selected after a thorough evaluation of a particular case. Homeopathic medicines are natural which are prepared from a wide range of plants, minerals, herbs, and animal extracts. They are well-proven and are found to treat a variety of hair ailments. They are administered in minute doses, which are expected to stimulate the hair growth process. The duration of the treatment usually depends on the individual constitution, age, underlying cause, and grade of the hair loss. It has been observed that people suffering from mild to moderate hair loss find a significant reduction in their hair loss within the initial four to six months of homeopathic treatment. Those suffering from severe and long-standing hair fall usually need a long-term treatment. Be thoughtful in choosing the treatment for your locks, as they are precious. Go natural and, when in doubt, count on homeopathy if you are suffering from hair fall.